"I cannot thank Pope Francis enough for his thoughtfulness. I'm deeply, deeply touched by the Pope's gesture. 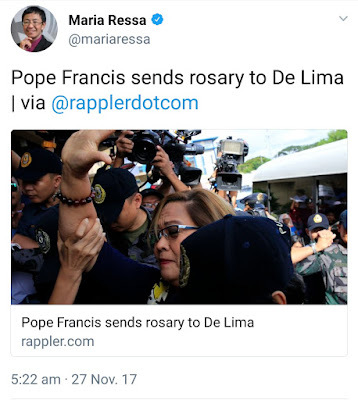 This gift will constantly remind me that, despite the political persecution I am experiencing right now at the hands of a vengeful President, I should keep the faith and fight tirelessly for the welfare of the Filipino people," De Lima said during a Mass inside her jail cell on Sunday, November 26. 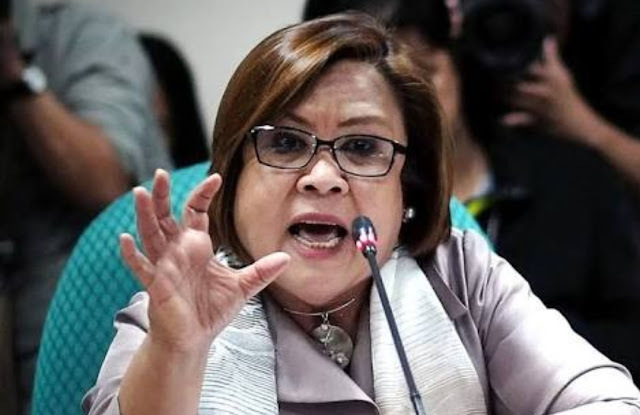 Apparently De Lima attends mass even while in jail. And this too is news.